Gold coins are produced and released yearly from the official Australian Perth Mint. They can either be the in one ounce, half-ounce, quarter of an ounce or even in one kilo depending on the availability in the mint. The most famous Australian gold coin is the Australian Kangaroo which is made from 24 Karat of gold. The more common however comes in one ounce forms which are also Australia’s bullion coins. These gold coins were first introduced by the mint in 1987 and were first known as gold nuggets due to the image that they bore on their reverse side. The image of the gold nugget was taken from the largest nugget found in Australia in 1869. It weighed a total of more than two thousand pounds which was considered to be the largest found in the world. Unfortunately, the gold nugget was replaced with the image of a kangaroo in 1990 and has since remained as the picture that can be seen in the gold coin to this day. Hence, it is also known as the Kangaroo coin. The mint releases a newer image of a kangaroo each year which is why the coin is also a favorite among coin collectors. Each year, a unique and new image of the kangaroo appears in the coin. You can find though the image of Queen Elizabeth II on the other side of the coin due to the history of the formation of the country. The Australian Kangaroo gold coin can be ranked among the purest types of gold coins in the world, having purity of 999.9% or of 24 karat gold. This is one of the reasons why this coin is more subject to getting deformed or scratched easily if mishandled or if it falls from one’s grasp. Hence, the Perth Mint has issued them in specially made plastic which holds the coins and protects them from any type of physical damage which can reduce the coin’s value or even gold content. This can be pretty consume much space if you are planning to store a lot of these coins in your personal vault which can be quite a hassle if it is only small. But if you are thinking about protecting your coin collectible from scratches, then the Australian Kangaroo will be the best to acquire due to their specialized plastic containers. One of the other feature or characteristic of this coin is that one can buy them in smaller sizes whereas some gold coins only come in one-ounce sizes. You can buy them in varying weights: one ounce, half an ounce, quarter of an ounce, and one-tenth of an ounce. They all have a face value of a hundred, fifty, twenty-five, fifteen, and five Australian dollars consecutively. They are all encased in their plastic containers separately which provides a lot of protection especially while being shipped. You can buy them directly from the Australian Perth Mint which will charge a lesser premium over the coins as your purchases get larger. Buying Krugerrand gold coins from collectors and investors is quite popular due to it being the official gold coin of South Africa and one of the most popular coins in the world today. It was first produced in 1967 and was made from 22 karat gold in order to withstand usage. The coin was used as a legal tender and hence was used for daily purchasing transactions. After a decade of its issuance, the coin became the most bought gold coin in the world which just showed how popular it had become to gold buyers all around the world. Although buying the coin has been prohibited in the United States because of some political issues regarding the South Africa’s policy of apartheid, it remained a popular coin for collectors due to its beauty and durability. When the coin gained such popularity during the 1980’s, the South African government also approved the making of smaller sizes of the coin which are one half of an ounce, quarter of an ounce, and one-tenth of an ounce. The total weight of the gold content of a South African Krugerrand is exactly one ounce. This is one of the gold coins in the world which contains exactly one ounce of gold in its weight. It is made from 91.67 % pure gold, which is relatively lower than other gold coins, but this mixture creates more resistant to damage and scratching. It contains an added alloy of copper making it much harder than the 24 karat types of coins. The composition of this coin became a model for the first American gold coins due to its toughness. Even its size was also made as an ideal model due its popularity in the United States. The Krugerrand is named after the famous South African politician, Paul Kruger and the official currency of Africa, the rand. The coin bears the image of Paul Kruger in its obverse side and the South African springbok on its reverse. This coin is only produced with limited numbers of proof coin sets which are all merely for numismatic purposes. These coins cost a lot more than the regular coins due to the process by which their designs are engraved on the coins. Buying these coins will definitely be more than investing in their gold contents. Even though this coin’s circulation was temporarily prohibited due to the apartheid policy of South Africa, it still had a lot of buyers in the United States due to the large amounts of these coins that were already in the US before the ban. The popularity of this coin, which makes it an ideal investment since it can be readily sold anywhere in the world, makes it an ideal investment. 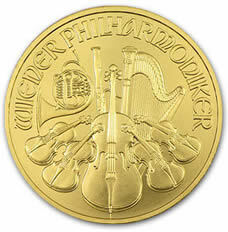 The legal tender of this coin, which depends upon the value of gold at the time of its usage, will also make it highly usable for purchasing. The Krugerrand is still one of the most sought after gold coins in the world today which can be justified by the millions of ounces of these coins that have already been sold throughout the world for the past decades. To determine the value of the Krugerrand coin you must first determine the quantity of gold in your coin, then compare the amount of gold to the current spot price. Buying Krugerrands is rising in popularity as it is one of the best ways to convert your cash into an investment that will not be affected by any change in the situations in the market. It is also the official coin of South Africa which makes it a safe option when investing in gold. It typically contains an exact one ounce of gold in every coin. The value of this gold coin depends on the current market value of gold plus an additional margin from the seller or dealer. They are however priced cheaper than other bullion gold coins such as the American eagle due to the past banning of the coin in the United States. But all in all, the coin is worth its value and even more due to its strength and durability which cannot be found in purer gold coins. They are also one of the more highly prized gold coins due to their rarity and designs. The Krugerrand is one of the most popular bullion gold coins in the world due to their lower costs and also the variety with which investors can buy them. They range in sizes from one ounce up to one-tenth of an ounce which provides more flexibility for the buyer. Aside from this feature, it is also one of the first gold coins to be manufactured as a bullion coin in the world. Its success helped brought about the creation of other gold coins in the world particularly in the United States and also in Australia and Canada. It was issued as a coin which can be used for regular transactions involving monetary considerations and hence can be used just like a normal coin although its value is a bit higher. 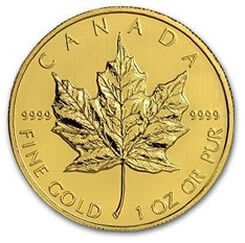 The value of what you can buy with this coin will depend on the current price of gold in the international market. So, what you have in your hands is something that will most likely increase in value although you are not adding any new material to it. The current gold price for a Krugerrand ranges from $1,711 to $1,685 depending on which seller you are buying your gold coin from. Some of these prices do not yet contain the additional charges for shipping and insurance which can still cost you a significant amount. They also charge different rates of premiums which can greatly affect the price of the gold coin. However, you can get a discount when you buy on bulk since the premium decreases significantly as the amount of your purchase increases. So it is better if you will buy at least ten coins at a single purchase. Unlike other gold coins, the Krugerrand does not contain any face value in its face. The worth of the coin will change depending on the current price of gold in the market. 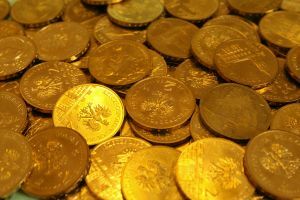 Having a 22 karat gold which has an alloy of copper, it appears less golden when compared to other gold coins in the world. But although it may be so, it does have a much resistant composition which is just needed since it is used for circulation.